Hi Egos! I'm back in the name of Science! As a scientist you sometimes have to fully commit yourself to your project in order to get the best results. That means that might have to face horrible self-experiments! I'm now in that exact position! I want to test these new Magnum ice cream bars to give you an accurate review! I know it's horrible right? How could I possibly convince myself to eat such a thing? 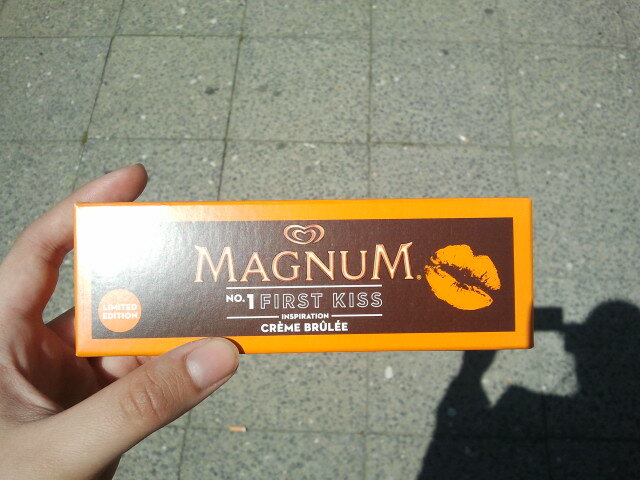 So Magnum has created these new flavour combinations and at first I was pretty skeptical about them. How could you mix Creme Brulé and ice cream? It's interesting and I really love their marketing campaign but I still have some doubts left. First on my list was the Loving Kiss. By that time I didn't know they had some kind of order. 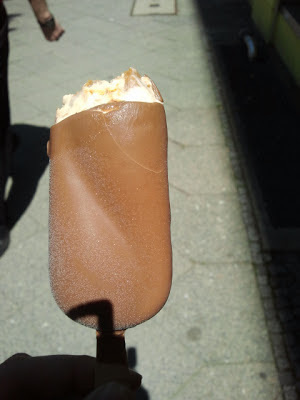 :D I like berríes and I like ice cream. So that one was kind of a nobrainer. The texture was really nice because first you bite into a chunk of berries and then you have a more balanced mix of ice cream vs. berries. Caramel Chunk - oh yeah!! Second was the First Kiss - the one I doubted most. I couldn't have been more wrong. 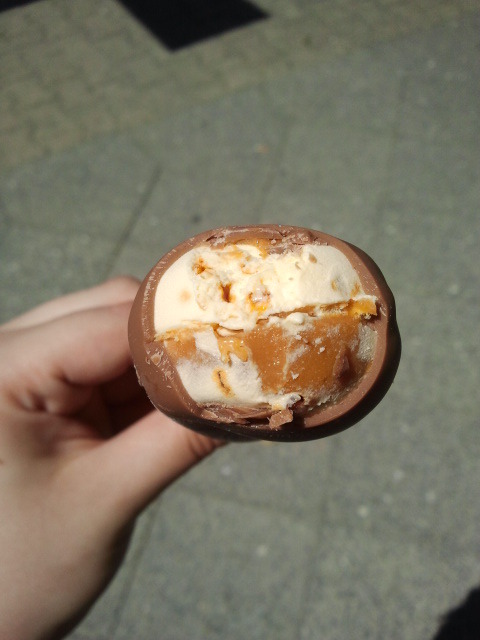 If you like caramel flavour then this is the one you should choose! Again you had that caramel chunk that you bite in and then it's pure awesomeness! I really wanted to wait for the other three editions but so far I couldn't find any of them in store. So I'm guessing that Magnum will sell the other ones at a later time. My First Tattoo - I Got Inked! My new Apartment: What's going on?! Loving Lately: ANNA FIELD Bag!